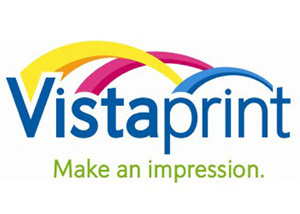 Vistaprint is the leading online provider of marketing products and services to small businesses around the globe. Started in a small apartment in France as a direct marketing catalogue, by 1998 Vistaprint had started to evolve into an Internet based e-commerce company, albeit one that was still dedicated to the same customer needs. Today Vistaprint has over 25 localized websites that serve various markets around the world, over 4,100 employees, three state of art manufacturing facilities and 13 offices, including its corporate headquarters in Venlo, the Netherlands. Vistaprint is focused on giving the 50 million micro businesses around the world a chance to make an impression and stand out with professional marketing products and services at an affordable prices. 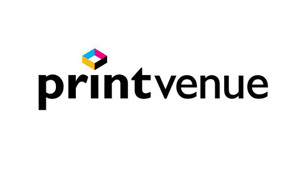 Printvenue was founded to bring a new standard of quality and service for online commercial printing. From the inception, Printvenue has established it in such a way where they offer best pricing, integrated dealing, finer quality and service. Printvenue is fast growing online printing and creative firm with a proven track record of delivering the best solutions to its customers and have penchant for consistently updating our services. Printvenue’s strengths and value propositions are, An array of options to choose from ranging for business cards, letter heads, notepads, stamps, pens, cardholders etc that are customized as per your needs, Ease of ordering 24*7 online and Extraordinary focus on quality at affordable prices. Printo helps individuals and businesses take the hassle out of printing. Printo does this by offering high quality print services through conveniently located retail stores and online website. You can walk into a Printo store to get anything printed from a business card to a letterhead or from marketing brochures to exhibition banners and invitations cards to personalized gifts. Printo started in 2006 with one store in Bangalore, India, with a mission to make printing easy and convenient. Printo is headquartered in Bangalore, India, with a 10,000 sqft production facility and corporate office, and also has stores in Hyderabad. PrintBindaas is India’s premier web based printing solutions provider. All your needs from business stationary, to marketing collaterals, to gifting items now available at the click of a button. Printbindaas does it all, right from research work to conceptualizing your product, designing it, providing content, printing and delivering it. The products include business stationary; marketing collaterals like brochures, banners, posters and flyers, invitations, and greeting cards; gifting products like mugs, t-shirts and more. Printbindaas offers 1000+ templates for our products that touch upon various industries like business services, wellness and sports, real estate, home maintenance, healthcare, finance, tours and travels, hotel/hospitality, education, retail, food& beverage and more with new industries being added every day. Gingko.in presents a unique premier Online Printing Platform for obtaining personal, promotional, commercial, and informational print products at the lowest prices. A large range of products includes, Business Cards, Letterheads, Envelopes, Greeting Cards, Postcards, Flyers, Posters, Brochures etc. Pick your own style, design, quantity, shipping and payment mode and leave the rest to Gingko.in. Get your order printed on superior quality paper and card stocks using the modern offset, digital and screen printing technology. 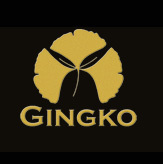 Gingko.in helps you capitalize on the advantages afforded by the digital age. They assure affordability, flexibility and profitability like no other online print shop. 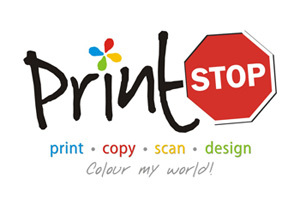 PrintStop is an innovative new-age printing solution provider with multiple retail outlets and an online presence. They serve the instant and bulk print requirements of both the Retail Customer Segment (B2C) and the Corporate Customers (B2B). At PrintStop, one can print products like Visiting Cards, Stationery, Brochures, Posters, Certificates, Presentations, Training Manuals, Calendars and much more. We serve our B2C customers through Fast Friendly neighbourhood Print stores which offer a range of customizable solutions. Currently they have centers at Sion, Lower Parel, Vile Parle, Powai & Kandivali. Customers can also submit jobs through our online store. 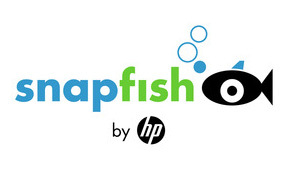 Snapfish by HP is the number one online photo service in the world, with more than 100 million members and more than 2 billion unique photos stored online. We enable our members to share, print and store their most important photo memories by offering prints and personalized photo products at the best value on the Web. Snapfish offers professionally developed, high-quality prints for as low as Rs. 3.49 , free online photo sharing, unlimited online photo storage, free editing tools and software, and a wide range of customizable photo products to choose from, ranging from calendars, mugs and mousepads, to customised post cards and many more. JustPrint is a leading printing company in India that takes care of your document printing and distribution requirements, in a professional manner. Just register yourself with JustPrint and they will take away from you the pain and panic of online printing of your documents. With the help of our print on demand service, they will print the documents just as you want them and to exactly meet your specific requirements. As a reliable printing company in India, JustPrint is dedicated and devoted towards ensuring that each copy of your document is as perfect as your original. Significantly, they are using our own backbone of Global Distribution Chain and Network which completely wipes out any chance of delays in the distribution and delivery phase. 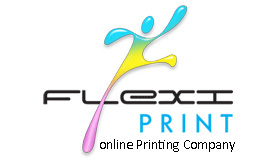 Flexi Print is an Online Printing service provider in India for Designing and Printing Brochure, Business Card, Letterhead, Envelopes through digital printing. The website provides you an easy setup, and is easy to use where you can upload our designs. They provide door step delievery at affordable prices.